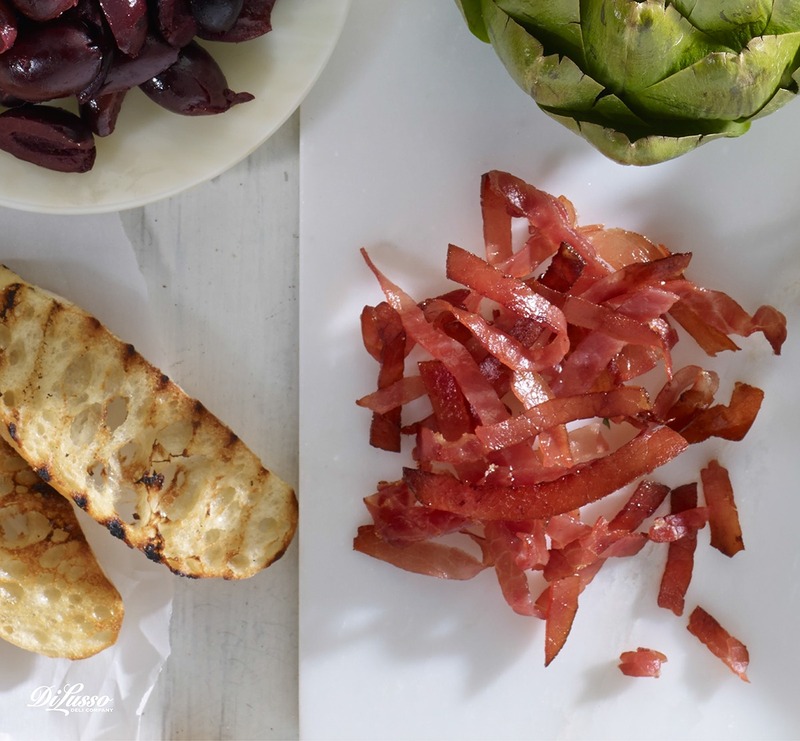 Crispy prosciutto is so easy to make and it adds a great punch of savory italian flavor to any recipe. We love it as a topping for salads and soups or as an ingredient in recipes like wild rice pilaf or cornbread stuffing. Here’s how to make it: Separate slices of DI LUSSO® Prosciutto. Lay on a parchment-lined cookie sheet. Bake at 350F for 5-8 minutes until crispy. Allow to cool before removing from parchment. Then crumble into your favorite recipe.